David McSavage. Photo:- Tom Lawlor. 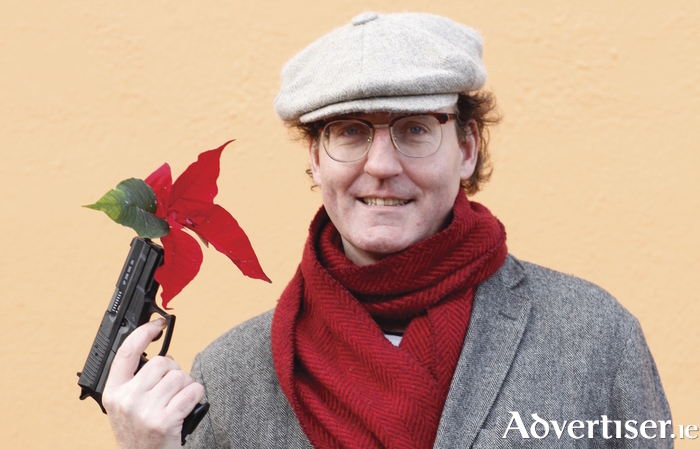 DAVID MCSAVAGE, "the comic equivalent of dynamite fishing," according to the Official Edinburgh Fringe Magazine, and "one of Ireland’s funniest comedians," says The Irish Mirror, comes to the Róisín Dubh this weekend. The comic, described as "the most divisive comedian in the country," by the Evening Herald, plays the Dominick Street venue this Saturday at 8pm. The writer and star of the hit RTÉ TV show The Savage Eye, David's cutting commentary and performances cover all aspects of life and nothing is safe from his truth induced interpretations. As an actor, he featured in John Michael McDonagh's Calvary, starring Brendan Gleeson. Other film roles include Gold and Our Robot Overlords. In 2008 he devised Headwreckers for the Channel 4 TV show Comedy Lab. Mario Rosenstock said of him: "He makes me jealous sometimes because he kind of goes to areas that, in a sense, I am forbidden from going to. He says an awful lot of things that I would love to say and can’t. He takes an awful lot of risks."